It is with sadness that the Executive of Support Our Health Care Society reports the passing of our friend and colleague, John Akerley. 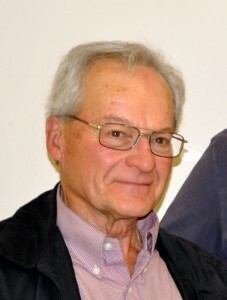 John was a dedicated and highly respected member of the Princeton community, serving as a volunteer in several organizations, including the Princeton Hospice and Palliative Care Society, the Princeton and District Skills Centre, the Princeton Committee of the South Okanagan Similkameen Community Foundation, and the Princeton Health Care Steering Committee. John was recently elected a Director on the SOHC Executive, where his experience and wisdom was highly valued by everyone. John was a professional engineer who was a resident of the area for the last 15 years. He will be greatly missed by the entire community. SOHC extends its heartfelt condolences to his wife, Trisha, and family. Thanks very much for your kind words. He was very passionate about the community and loved living here very much.